Recently Successful Pupils with their pass certificates. '1st Car' is the 1st choice, 1st class and 1st pass! I would highly recommend '1st Car' to anyone as Paul is easy to get along with. He made me feel at ease and confident behind the wheel. Many thanks. 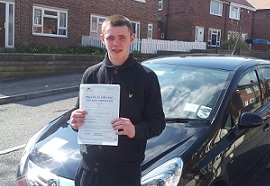 Paul is s fantastic instructor, very reliable , honest and very patient. I wouldn't have passed my test without his help and patience. 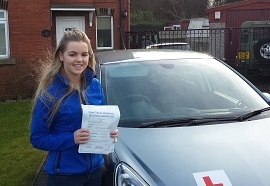 I would definitely recommend 1st car school of motoring ! Paul is an amazing driving instructor, I didnt think I would be able to do it but passed first time with a examiner and senior examiner both in the car. I want to thank Paul for his patience and advice, he played a massive part in me having the confidence to make it through as I was very nervous. I would without doubt recommend Paul to anyone. Thanks again pal. 1st car = 1st class as far as I am concerned! Paul never let me down, even in bad weather. He was very placid, patient and punctual and even if there was something I didn't understand he had no problem with explaining it to me. I can honestly say I would recommend Paul to anyone who is looking for a professional driving instructor! 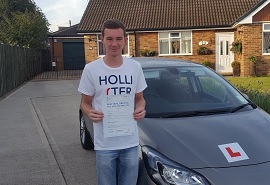 My result was a 1st time pass and I wouldn't have achieved this without Paul's help. Paul was a class instructor who I would recommend to absolutely anybody. He is very organised and never lets you down! He is very calm and relaxed which makes you feel very confident about the way you are driving! I couldn't thank such a reliable man anymore for helping me achieve such an achievement. I would highly recommend Paul to anyone who is wanting to learn how to drive. He is patient, understanding and very supportive. 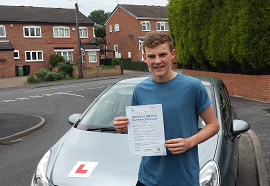 His lessons are always fun & worth every penny - I couldn't have passed my driving test without him! Paul taught several of my friends to drive and they all recommended him to me. I now know first hand that Paul is an excellent driving instructor and I would recommend him to anyone in the local area. He is thorough, punctual, and always encouraging. 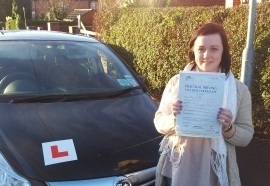 Thanks to Paul I've now passed my test and feel confident on the road. Thanks again Paul! Well I don't know where to start! Paul was the best choice I made when choosing a driving instructor. From my first lesson to my last he was patient, always willing to explain things again if needed and flexible. Encouragement and support was always given and he was always early for the lessons. I would recommend him to anybody, whether it's your first lesson or you have driven before. Thanks to Paul for helping me pass my test! 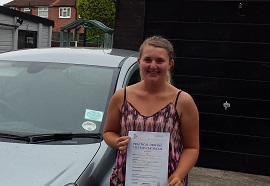 Paul is a fantastic driving instructor who i would recommend to anyone. He always arrives 5-10 minutes before my lesson and was always reliable. He was very calm and patient which gave me a lot of confidence when driving. 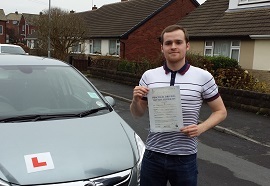 I can't thank Paul enough for helping me achieve such an important goal by passing my test! 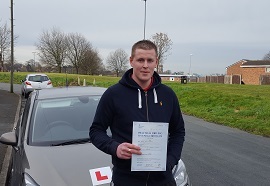 "Paul is a fantastic driving instructor who I have learnt a lot from and enjoyed driving with, I would recommend Paul to anyone, thank you for helping me get my licence!!!" "Paul was recommended to me by a friend of the family. He has not once let me down, always here 5 minutes early. I found him easy to communicate with and he was always patient with me, explaining everything in full detail. I have been practicing with him since my 18th Birthday. I would highly recommend to have him as your driving instructor as he was calm, understanding and does good deals if you block book your lessons. I'm really grateful throughout my learning driving experience and having Paul teach me, and have now successfully passed my test!!" 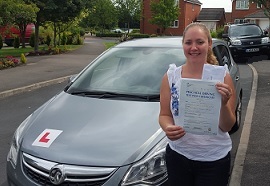 "I chose Paul as my driving instructor as he had been highly recommended to me by friends and members of my own family and also his website was really appealing and easy to use. Also the deal Paul had on offer for first time drivers was really good. 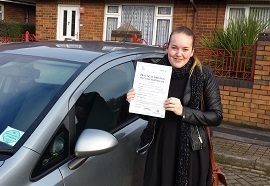 In my first driving lesson Paul made me feel really comfortable and at ease, he talked through it step by step so it made it really easy for me to understand. The lessons throughout were always relaxed and fun and Paul was really helpful and patient if I didn't understand something first time. 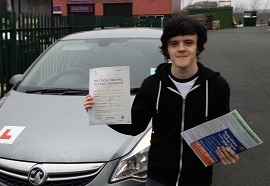 I will be highly recommending '1st Car School of Motoring' to anyone wanting to learn how to drive." 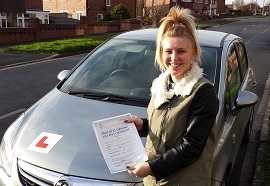 Delivering competitively priced and top quality driving Schools in Garforth | Aberford | Allerton Bywater | Barwick in Elmet | Colton | Crossgates | Fairburn | Halton | Kippax | Ledsham | Ledston | Micklefield | Rothwell | Roundhay | Scholes | Seacroft | Swillington | Whitkirk | Woodlesford.